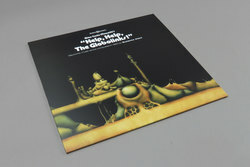 Suzanne Ciani - Help, Help, The Globolinks!. Vinyl LP. Bleep. 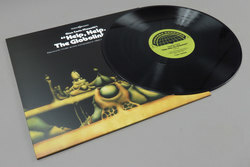 Finders Keepers and the Ciani Musica Inc. studio present Help, Help, The Globolinks!. A brilliant album length offering of previously unreleased music from Suzanne Ciani, a hugely important artist and pioneer of multi-disciplinary electronic music. Treading the same ground as her incredible Voices Of Packaged Souls (Liquid sound 1970/Dead Cert 2012) Help, Help, The Globolinks! is truly out of this galaxy electronic score to Gian Carlo Menotti’s opera for children. Synths fizz and buzz away while the sort of synth sounds you can only imagine hearing in your dreams coat everything in an other-worldly gloss. Further proof if any were needed of the true innovation of this pioneering musician and artist.